Winter of 2020 is coming and so is a new addition to downtown. Indianapolis will bask in the glow of the world-class InterContinental Hotel. The InterContinental brand, established in 1946, is known as the ideal destination for experienced, high-end travelers. Each hotel around the globe offers its own distinctive style, from historic landmarks to urban chic, as well as resorts on tropical shores. The Indianapolis InterContinental will join these ranks and delight all who embark on its splendor. 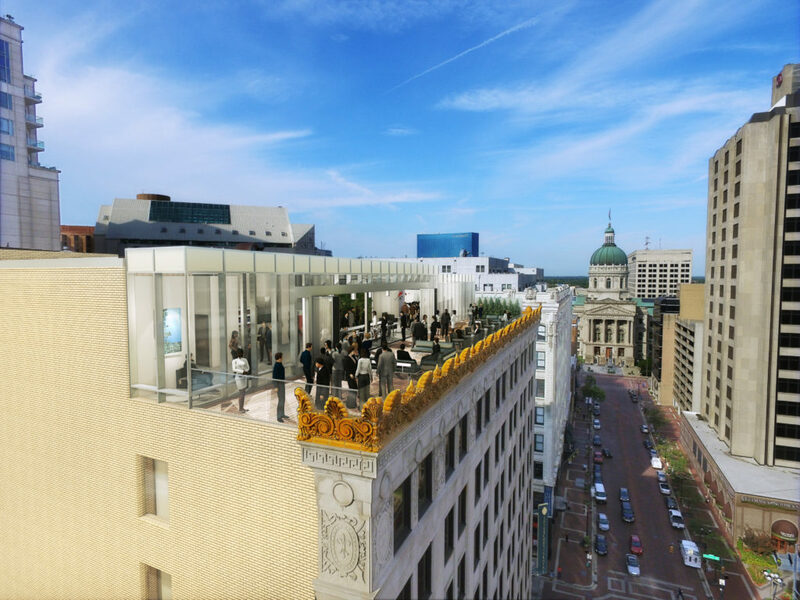 The Indianapolis Intercontinental Hotel will incorporate design elements unlike anything currently seen in the Indianapolis market. The Illinois Building, originally built in 1926, —which will house the InterContinental—was actually listed as one of Indiana’s 10 most endangered landmarks; it was abandoned in 2002. 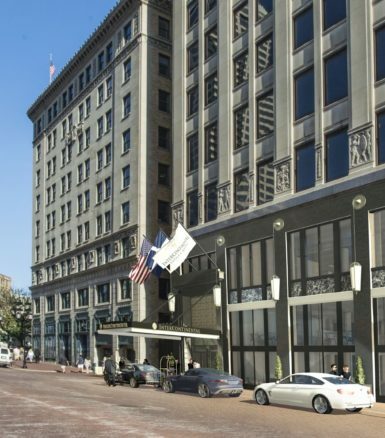 Keystone Group purchased this well-positioned building in 2013 and has proposed a $61 Million transformation of the endangered landmark into the Intercontinental Hotel. Restoring and renovating the 10-story structure is already underway. In 2016, Keystone renovated the first floor allowing two restaurants to occupy the space – Hyde Park and Giordano’s. Hyde Park is a high-end steakhouse, and Giordano’s is a Chicago-based pizza chain. Both are currently open for business. 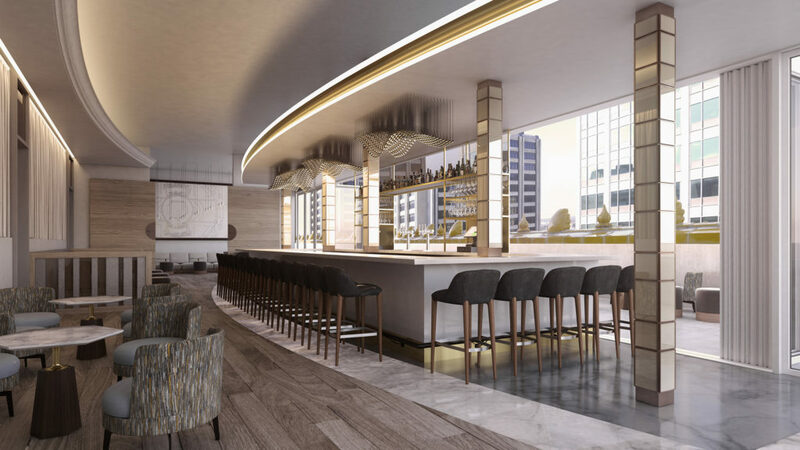 The features in the InterContinental Hotel will be some of the finest, including a total of four restaurants, including a rooftop bar. 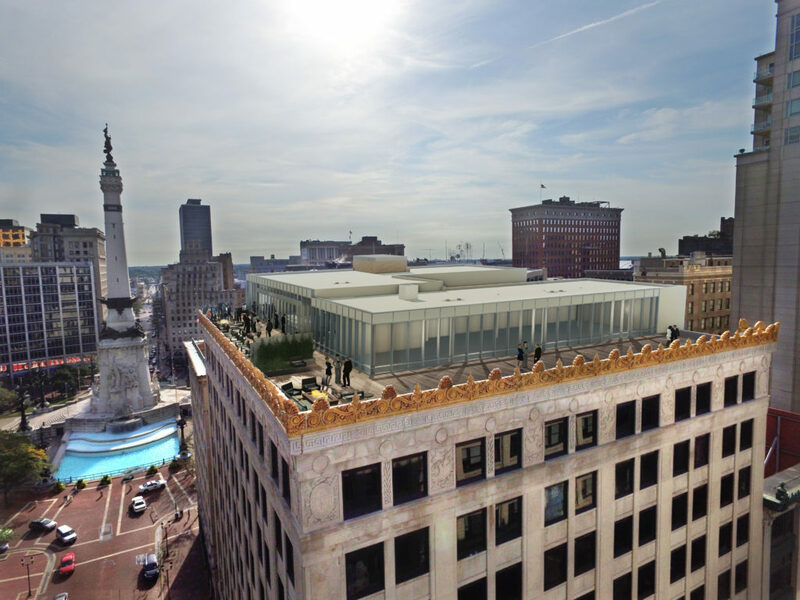 The rooftop bar will be the perfect setting for any celebration with a gorgeous view of Monument Circle, the first of its kind in Indianapolis. Keystone will construct the rooftop bar as the eleventh floor and incorporate the most extravagant features. The hotel’s grand lobby will be on the second floor. The remaining floors of the 145,000 square foot building will house 180 luxury guest rooms. Two model guest rooms are currently under way to showcase its lavish amenities within each domicile. Currently, framing is completed and plumbing and HVAC has been started. 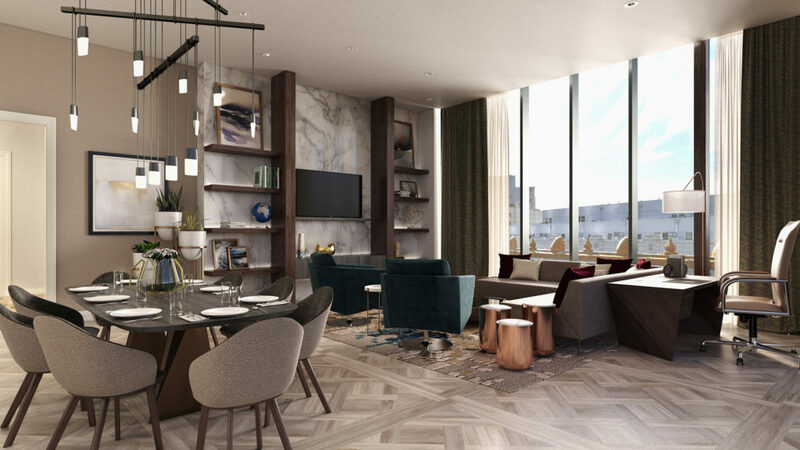 Once complete, the rooms will feature lush furnishings, high-end fixtures, and an overall modern design. Once approved by InterContinental, the remaining rooms will be built out and the hotel completed by 2020 will create 300 construction jobs. This is perfect timing for the many large events that Indianapolis has on the docket. 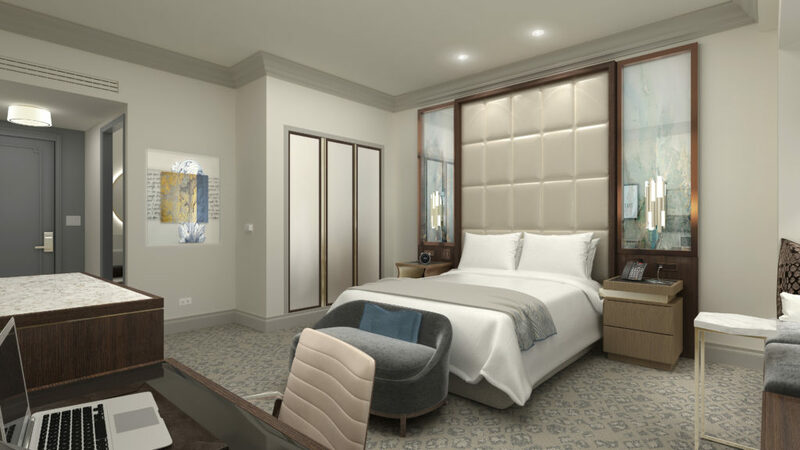 The InterContinental Hotel will be there to welcome (with 250 additional hospitality jobs) all visitors to an exquisite one-of-a-kind luxury experience. .